The Deli KC's Best of 2014 Readers and Fans' Poll for local emerging artists is over, thanks to all those who cast their vote in support of the emerging local bands and artists in our list of nominees. 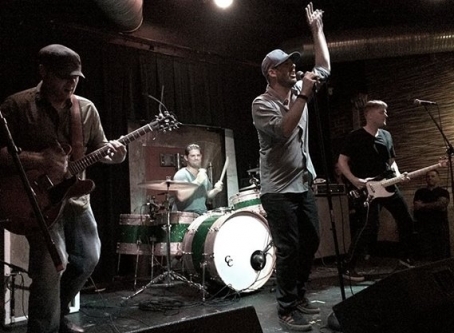 Congratulations to The Deli’s 2014 KC Readers’ Choice artist, Kangaroo Knife Fight (pictured above)! The four-piece rockers recently released its debut self-titled EP, which can be found below. We’ll be featuring them in an upcoming interview very soon. Until then, check out their tunes! Before even playing its first show, Yore has taken second place in our Readers’ Poll! This new project includes former members of The Cherry Tree Parade, Mother Culture, and Gentleman Savage. Yore recently released its first video; keep your eyes peeled for a new single from them soon. Coming in at third place is The Blackbird Revue, the husband-and-wife duo whose folk pop melodies have been winning over audiences in KC and around the country (they’ve been featured on The Voice and The Discovery Channel). The couple recently released a video in advance of a 2015 album. Here’s a Q&A we did with them. Stay tuned for the composite chart, to be released soon, which will include the point nominees accumulated from the jurors and Deli writers' votes, and will crown The Deli's Best Emerging KC Artist of 2014. Kangaroo Knife Fight’s new self-titled EP is a soul-searching romp through deep caverns of reverbed out guitars, gospelesque vocals, and flowing melodies reminiscent of Sly and the Family Stone and Kings of Leon. The opening track, “Hold On” is an airy build into a delightful chant-worthy chorus. With the vocals screaming “I don’t think anybody wants to lose,” it’s hard not to sing along the second time around. The song illustrates difficulties everyone struggles with and the sweaty grip people have while trying to hold everything together in life. The challenging nature of the overwhelming instrumentation leaves you asking, how will they make this bigger? KKF doesn’t disappoint with giant swelling vocals and expanding guitars. Editor’s note: Kangaroo Knife Fight was recorded by Kangaroo Knife Fight and mixed by Noah Shain and Amir Jamm. The band was formerly called Little Rosco. Check out Kangaroo Knife Fight at The Brick this Saturday, December 6, where they will be celebrating the release of the EP. Bottle Breakers and Morningglories will also be playing. Facebook event page.